There’s something to be said for a good murder mystery. I hesitate to use the term “cozy mystery” because that’s always seemed like such a contradiction to me. But still. I’m not talking about one of the serious psychological thrillers full of blood and gore that leaves you sleeping with the lights on for a week. What I like from time to time is a well-written mystery with a little bit of murder thrown in for good measure. 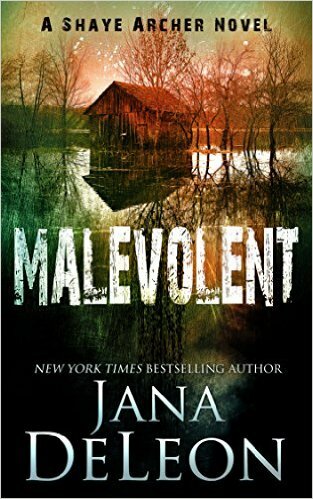 And this introduction to a new series from Jana DeLeon fits that description perfectly. Shaye Archer is finally getting her life on track after a traumatic childhood, to say the least. And she’s realizing her dream of owning her own business with the opening of a private investigator business. But before all the furniture is even delivered, her first client shows up at her door. Emma has had trauma of her own, escaping her abusive husband only by killing him. So then how can he be stalking her if he’s dead? When she enlists Shaye to help her find the answers she so desperately needs, both of them find themselves in greater danger than they could ever have imagined. This is a great mystery with great characters. The story moves along nicely, and there’s plenty of suspense along with a few twists and turns that I didn’t see coming. I especially love the lead character, Shaye, and can’t wait to dive in to her next adventure coming out this fall!